BMW got a lot of attention this past December with their “The Fastest Christmas Card In The World” web video. 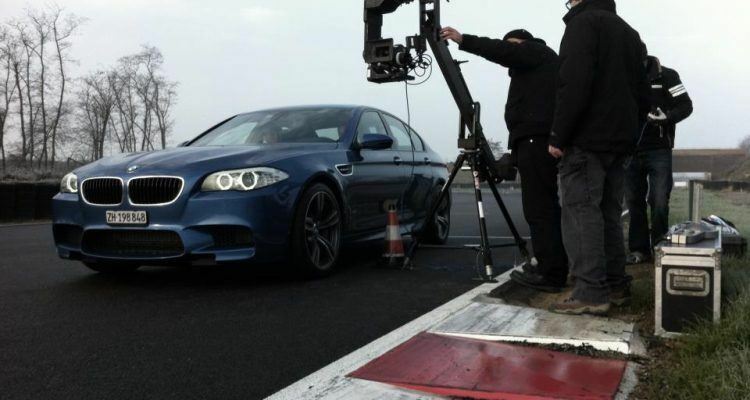 It featured the new M5, stunt driver Urs Inauen and Illustrator Gavin Patterson. What ensued was a Christmas card unlike any we’ve any we’ve seen before….the result of 560 horsepower, says BMW. We caught up with Swiss stunt driver Urs Inauen to ask him a few questions about the shoot, the new M5 and his career in stunts. When did you first start working with BMW? Well, normally what I do is stunts for movies and stuff. I started working with a few different promotional and advertising agencies, and got in contact with an agency that does work for BMW here in Switzerland. I’ve done some other work with them, such as on the MINI Eat Snow Campaign. So how did you get involved with this particular shoot, it is something the creative team came up with? Yeah. The business is short call, which means you have to be ready on short notice and they needed a highly trained professional stunt driver for that job, so they selected me. They first let me know about the shoot a week before we shot it, and the location a day before. The track [Circuit de l’anneau du rhin] is in France, about 30 minutes from the border and 2 1/2 hours from where I live. It is 3 kilometers long. The experience was a lot of fun. It was fun working with an artist next to me, and interesting because the idea was to display the power of the car on camera and show the viewer how much G forces that car can take. The car (BMW M5) is a beast (in a good way) with its 560 horsepower, and really good at drifting. It also is very smooth and elegant when you drive it normal. Man we almost get nauseous just watching it; can only imagine if we were in the car and trying to draw…. Yes, the Illustrator (Patterson) actually was getting a bit sick. I really tried to shake him, I wasn’t driving clean or within the lines or anything, aiming to shake the car and slide around. Our top speed was around 220-250 km/h…high speed wasn’t the goal. When did you first get involved in stunt work? I started in 2007, so about four years ago. I started doing some stunt work here, and then I went out to California [Los Angeles]. A friend helped out and I went into training, meeting coordinators and stunt people who were used in big movies. For example, I was able to train at Bob Yerkes place. 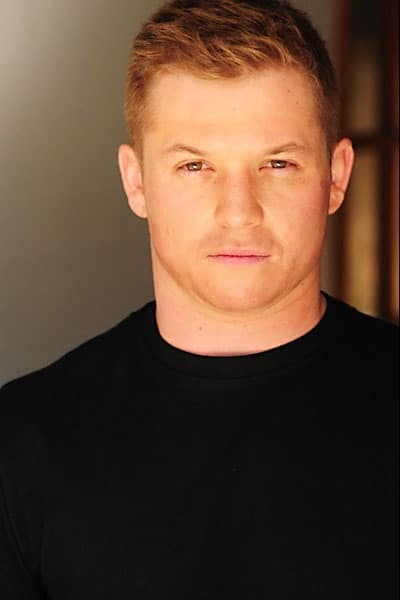 He is a legendary Hollywood Stuntman and he lets young people train with his equipment. Stunt people are out there at his place two times a week and some well-known stuntmen lead the trainings out there as well. So was it something that you were interested in since you were real young? What did you do prior to this? Well, when I was young I was interested in gymnastics and movies. I met Swiss stuntman Oliver Keller and worked with him as a helping hand in the beginning. Then as I did that, he had me help out on things and I told him I wanted to do stunt work. Originally I worked in a sporting goods shop and then I got my truck drivers A license so I could be more flexible with the upcoming stunt work. I did truck driving part-time when I first started doing stunt work but not anymore as I’ve been doing this full-time on a professional level. So do you spend most of your time in Switzerland or is part time? Most of the time in Switzerland. I have spent a few winters in Los Angeles though. I am working on getting the O1 visa for the United States right now. I have projects I could work on and some coordinators are waiting for me there to have a highly trained professional Swiss Stuntman for U.S shoots. This BMW project has been funny though because it was originally done for BMW Switzerland. Then HQ saw it and liked it and spread it all over the world. I’ve got calls, texts and e-mails from people all over the world about it. You need your visa so you can come out and do more stunts. What are you driving right now in Switzerland? Yes, I do need that visa! But there is a little problem with that;. a lot of people can’t give me jobs without a visa, but obtaining a visa requires some more jobs. So it is a catch-22 right now, but I already have a big agency that supoorts me and I am sure I will get it soon. And I’m driving a Jeep right now. We use it with Kstunts, towing trailers and the like. I doubt I will be driving it for much longer though. Regulations are strict here, unlike in California. I’ve been around BMWs growing up, my dad has a 325i. What is your most memorable experience? Well the BMW shoot was quite exciting and I loved that, but the most memorable was a car crash stunt we did. There was two parked cars and we hit it at about 62 mph. The car crashed and rolled over twice. There is a clip of that and other things I’ve done on my website (www.ursinauen.com). So is there any other shoots in the works right now with BMW or otherwise? Right now it is pretty quiet with work as it is winter here in Switzerland. I spoke with the agency about some upcoming stuff that might happen soon, but there is nothing set yet. The stunt team I work with, Kstunts, is working on some new shoots though. Planned for next month is a car cannon shoot where we flip over a vehicle. Car cannons have been done before, but never in Switzerland. We’re looking forward to checking that out, and other projects that Kstunts has in the works. Stay tuned! 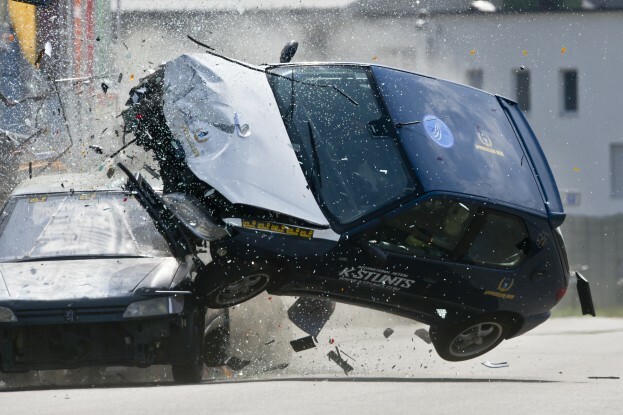 No Comments on "Interview With Stunt Driver Urs Inauen"